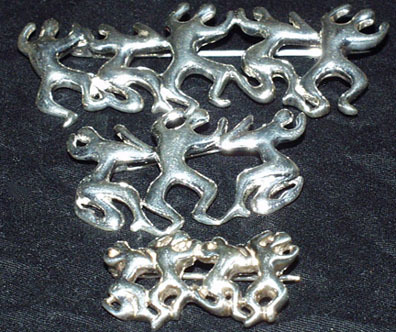 All these pieces are beautifully hand made out of sterling sliver. Small broach is $37.50, large three broach is $60, large five broach is $95. 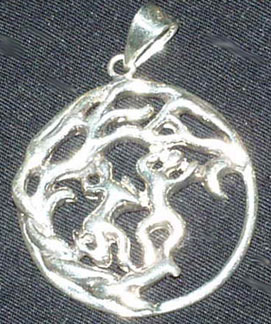 The tree dance pendant is $50. If you have any questions or would prefer to order over the phone Call Toll Free (800) 472-6341, (805)445-9400, fax us at (805)493-5937 or [ Click Here to E-mail Us. ] We ship all over the world. Guaranteed satisfaction. CLICK ON THE FOLLOWING LINKS FOR MORE QUALITY PRODUCTS.